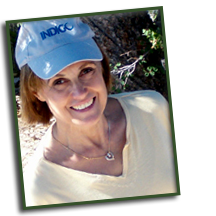 NANCINE MEYER is a popular spiritual teacher, intuitive guide and prosperity coach. She is a trained sixth sensory professional and gifted angel communicator. Clairvoyant to energy beings since the age of five, Nancine certified her sixth sensory ability and trained as a psychic medium with master vibrational healer Sonia Choquette and clairvoyant doctor of psychology, Doreen Virtue in the early 1990’s. She has been in active practice of these arts since that time. At the same time, Nancine is pragmatic and down-to-earth. With many years of experience in a Fortune 100 company and as a business owner, Nancine is invested in furthering her clients’ real and touchable achievements. She is a certified Law of Attraction trainer and incorporates her practical business acumen into all of her spiritual teachings. Through her company, Main Street Angel, Nancine offers personal enrichment guidance to help individuals, business leaders and teams identify and change patterns and beliefs which interfere with their acquiring greater health, wealth, and prosperity. The linking of Nancine’s diverse education results in truly mystical inspiration with contemporary and relevant plans of action. Nancine is a wonderful choice as a speaker for business conferences, broadcasting events, and social or community gatherings. Her unique skill is adaptable to a broad range of topics. Her style is entertaining and interactive. 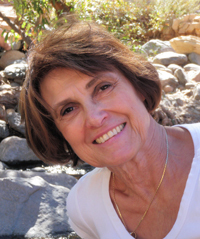 A gifted author and vibrational healer, Nancine is currently a resident and licensed business owner with an office in Surprise, Arizona. Formerly from Chicago, Illinois and with significant ties to the East and West coasts, Nancine is very adept at distant coaching to you in your home or place of business as well. For more information, visit Nancine in the Best Psychic Directory, or follow her inspiration on Facebook at www.Facebook.com/mainstreetangel . "Nancine has light to light ours within. She brings a ray of hope to all who seek their true Purpose."